Earlier in the week, we took note of Kamala Harris test-driving a talking point in defense of her breathtaking multi-trillion-dollar agenda. She told CNN over the weekend that her gigantic proposals were essential and "not about a cost." She claimed that the eventual return on those "investments" would justify the actions taken. As I argued in my analysis, regardless of whether one agrees with her ROI calculus, such judgments do not eliminate the costs associated with each element of new spending. She can try to persuade people that the lofty price tags are worth the money -- and, by extension, the methods of collecting all that money from taxpayers. She cannot, however, argue that those lofty price tags don't actually exist, and that the bills wouldn't need to be paid. "I would say to them that we have to reframe the perspective," Harris said. "And instead of looking at the issue of ensuring that all people have access to health care because the premise there is that access to affordable health care should not be a privilege, it should be a right. It should not only be accessible to those who can afford it, it should be accessible to all. Then when people start saying cost, cost, cost, my response is ‘No, it's not about cost. It's about investment. It's about investment.'" Her strength is that she seems a perfect fit for the current shape of the Democratic party. Her weakness is a blithe and insouciant manner that is sure to cause her trouble. In fact it already has...An audience member asked Senator Harris for her “solution to ensure that people have access to quality health care at an affordable price,” and “does that solution involve cutting insurance companies as we know them out of the equation?” You bet it does, was Harris’s answer...Harris seemed not to understand the magnitude of the change she supports. She mentioned the “process of going through an insurance company,” how “going through all of that paperwork” has caused delays and headaches for many. “Let’s eliminate all of that,” she said. 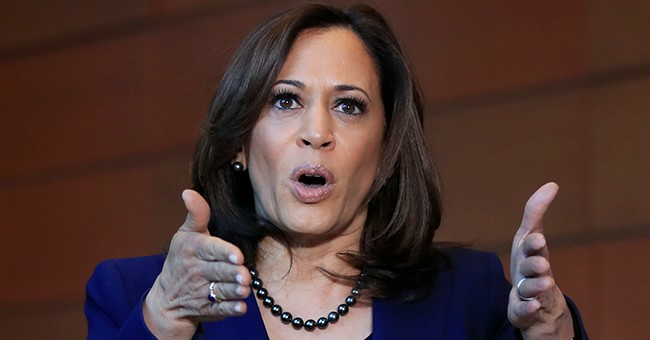 “Let’s move on.”... Harris did not give the impression that she took either the question or the implications of her answer all too seriously. This is something that happens often. Parting thought: Does Harris support 107 House Democrats' even farther left new 'Medicare for All' plan? I'll have much more on this scheme later today.